In addition to UFO and Sasquatch encounters, there has been many eye witness testimony of a craft appearing out of the water at night then approaching a shoreline only to see it disappear back under the water. An unidentified submerged object, or USO, is any object or optical or mechanical detection phenomenon of unknown origin observed under water that remains unidentified even after thorough investigation. This particular use of the acronym should not be confused with USO, the popular abbreviation of the United Services Organization. 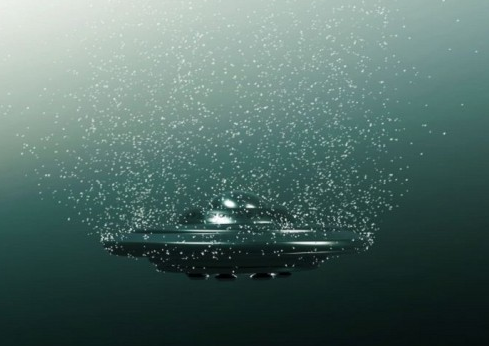 The maritime analog to UFOs, or unidentified flying objects, unidentified submerged objects are often seen by those who study unidentified flying objects as a related phenomenon (ufologists). ​Likewise, many sightings of USOs constituting "typical" UFOs emerging from the water are seen as a subset of the latter rather than of the former. An unidentified submerged object, or USO, is any object or optical or mechanical detection phenomenon of unknown origin observed under water that remains unidentified even after thorough investigation. This particular use of the acronym should not be confused with USO, the popular abbreviation of the United Services Organization. The maritime analog to UFOs, or unidentified flying objects, unidentified submerged objects are often seen by those who study unidentified flying objects as a related phenomenon (ufologists). Likewise, many sightings of USOs constituting "typical" UFOs emerging from the water are seen as a subset of the latter rather than of the former.